Crossword Puzzles by Brendan Emmett Quigley: CROSSWORD #323: What's the Hub, Bub? CROSSWORD #323: What's the Hub, Bub? Solvers of last week's contest puzzle would have noticed a decided lack of theme happening in the grid. That's because I wanted you to suss that out. 151 contestants entered the latest BEQ.com contest, setting our latest record, so thanks to all who sent something in. 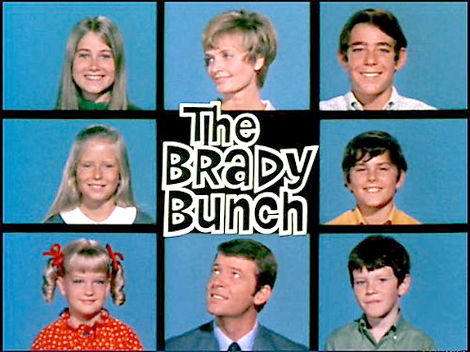 And almost every one of them grokked that the names of "the Brady Bunch" characters were placed in the grid roughly in their position in the title card of that TV show. Worth mentioning: more than a few of the international contingent of BEQ.com supporters said that either Google solved the meta for them, or a kind Yankee told them what was going on. I guess it's safe to say "The Brady Bunch" was never exported out of the States. That's probably a good thing, as that show is a steaming pile of offal. On to the creative entries to the contest. John Chaneski of Brooklyn sent in this You Tube club as his entry. Too bad he didn't sing it himself. Staying on that topic, ACPT superstar Anne Erdmann of Champaign-Urbana, wrote in her entry: "It occurred to me to send you a video of me singing 'The Brady Bunch' song, except then my name would go into the bag entitled 'Worst Entries I’ve Ever Received.'" Quite the opposite, Anne. It probably would have won. Our creative entry winner for the contest is aspiring constructor Bret Agins, of Portland OR. 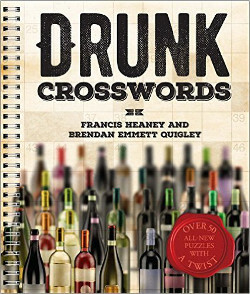 He sent in a crossword, which you can do here: [Across Lite] [PDF]. He sent in a subtly themed 72-worder, and I especially like 11- and 38-Down. Nice stuff. 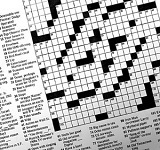 Bret writes: "It seemed fitting to me to submit my contest crossword to you like this; as it was your site, attitude, and DIY spirit that inspired me to start writing my own (your answer is 53-across). I've been writing one a week and uploading them on Mondays here." Approved. Our randomly winner is J. T. Williams of Austin, TX. Congrats to both J. T. and Bret. Thanks for all who entered. Share the puzzle. New one tomorrow.